As part of her fellowship, Baffa will return to Dr. Robert Ballard’s E/V Nautilus August 1- 14, to help promote Science, Technology, Engineering and Math (STEM) based research to the public, including nearly 11,000 girls belonging to GSCCC. Melissa Baffa, Vice President of Program and Volunteer Services for Girl Scouts of California’s Central Coast (GSCCC), has been selected as Lead Science Communication Fellow for 2016 for the second consecutive year. As part of her fellowship, Baffa will return to Dr. Robert Ballard’s E/V Nautilus August 1- 14, to help promote Science, Technology, Engineering and Math (STEM) based research to the public, including nearly 11,000 girls belonging to GSCCC. As a part of Baffa’s expedition, members of the Corps of Exploration will search the deep sea off the coast of Southern California, encountering rare sea creatures, investigating a series of seismic faults that pose a potential threat of earthquakes and tsunamis to Southern California, and possibly even discovering deep-sea volcanic vents. Seventeen educators and twenty-two students from around the world have been selected from a competitive pool of applicants by the Ocean Exploration Trust (OET) founded by Dr. Robert Ballard, to participate at sea during the 2016 Nautilus expedition. Dr. Ballard is most known for the discovery of the wreck of the RMS Titanic in 1985. Baffa will participate in live audio commentary and Q&A sessions through the Nautilus Live website (http://www.NautilusLive.org) while aboard the ship. She will also host a number of programs for Girl Scouts and the general public throughout the six counties served by GSCCC before her voyage and upon her return. These newly developed STEM activities will benefit thousands of current Girl Scout members, as well as potential new members, to learn about marine biology, the environment and nautical careers. Baffa will also collaborate with institutions and program partners up and down the California coast to develop programming that will introduce public audiences to Nautilus’s discoveries. Melissa Baffa is a former science educator and has held positions as a research associate, and nonprofit executive director in the Ventura County area before joining Girl Scouts of California’s Central Coast. The Ocean Exploration Trust was founded in 2008 by Dr. Robert Ballard to explore the ocean, seeking out new discoveries in the fields of geology, biology, maritime history, and archaeology while pushing the boundaries of STEM education and technological innovation. Our international program is launched from aboard the Exploration Vessel (E/V) Nautilus, offering live exploration to participants on shore and the public via live video, audio, and data feeds. The major 2016 expedition and education sponsors are the NOAA Office of Exploration & Research, the Office of Naval Research, the NOAA Office of National Marine Sanctuaries, the NOAA Pacific Marine Environmental Laboratory, the University of Rhode Island, CITGO, and additional private donors. Follow us online at http://www.nautiluslive.org, on Facebook and Instagram at NautilusLive, and on Twitter as @EVNautilus. Girl Scouts of California's Central Coast serves over 10,700 girls across six counties and is committed to making Girl Scouting available to girls in ways that impact their lives both in the moment and into the future. Girls participate in troops, individual projects, council events, day camps, and more. A variety of leadership, outdoor skills, and Science, Technology, Engineering, Arts and Math (STEAM) based programs and events provide girls with opportunities to learn and explore in fun and informative ways. 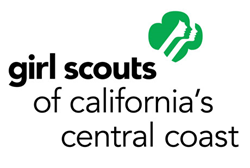 To join or volunteer in Santa Cruz, San Benito, Monterey, San Luis Obispo, Santa Barbara or Ventura County, visit: http://www.girlscoutsccc.org.